Match a Track card game and Animal Architects book review. I grew up in South Africa, where we spent most of our holiday time in the Kruger national park. This park is almost as big as the UK. This is where I learnt about animals. In their natural habitat. Wild animals which have spaces 18000% bigger than any zoo can give. To see an elephant as big as a white van. Walking so slowly and so gently across the bush. fauna and flora. We went on safaris at the break of dawn trying to spot lions and elephants. Whoever was leading the safari was usually a brilliant tracker, surveying the ground and looking for imprints or brushed leaves. Tracking animals. 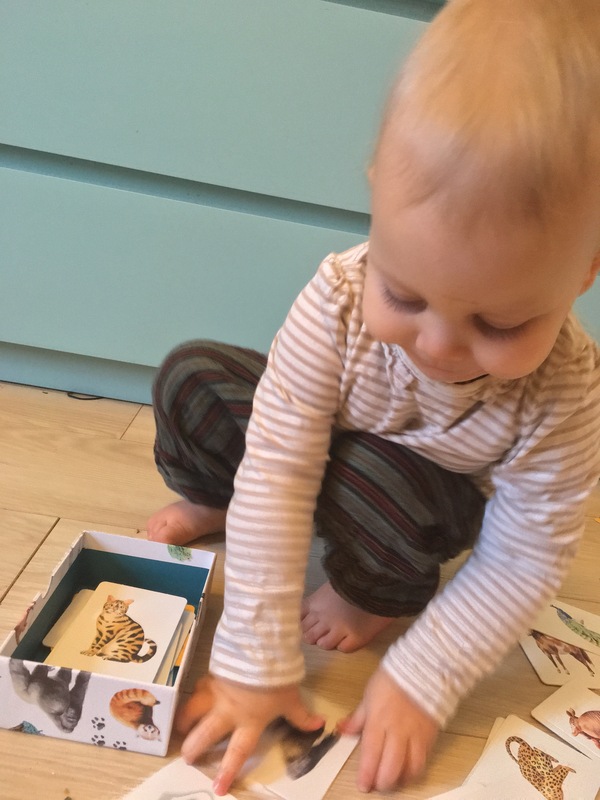 The best way to learn to track animals is by learning their footprints. You can see how long ago they were there by how clear the print is. You know which animal when past and in what direction. Telltale signs to get you closer to these majestic animals. Playing this game really brought me close to the memories of my childhood. 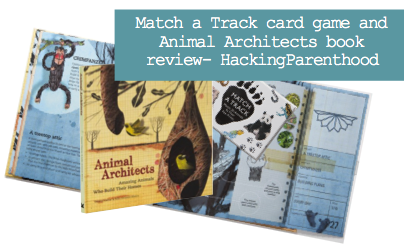 You get two sets of cards, one with footprints on and the other with beautifully painted images of the animals. You have to learn and match the footprint to the animal. 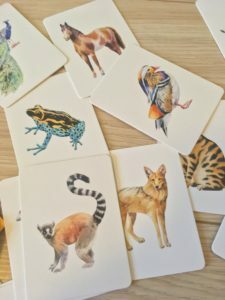 Of course, my daughter is too young to play, but she was learning the names of the different wild animals. I can’t wait till she’s ready and I can teach her something that I learnt as a child. The book that we got, was something I had spotted. I thought this would be a great book to learn about animals and their homes. 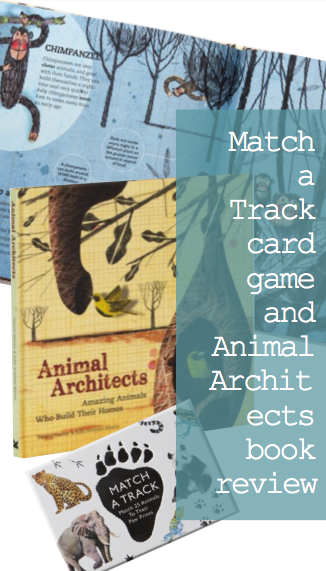 This book is called ‘Animal Architect’ by Daniel Nassar and Julio Antonio Blasco. This book has amazing illustrations of the animals and their homes. Each illust ration really makes the book so interesting to read, even as an adult. Learning is so fun when people make the effort to engage the readers. Giving a sketch like look to the book. There is a fold out fact file on each animal giving the low down of their home. This book really opens your eyes to how the animals live and what they do to create these beautiful homes. My favourite is the Chimpanzee, who would have thought that the chimpanzee creates a massive nest to lie in. These items were sent to me in return for a review. These are my own thoughts. 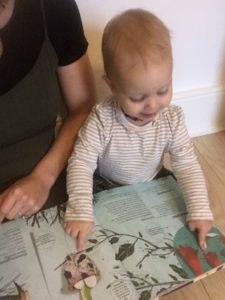 This is also my first review. Excited about it. 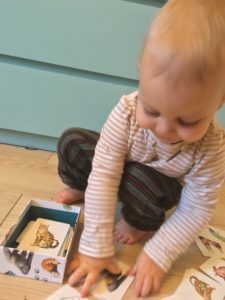 This is why we will be doing a giveaway to treat one of our readers to this game and book that I think would be a great addition to any playroom.